Description : Here we have the official Caesars Palace onsite poster for Mike Tyson's 1st comeback fight after the shocker in Tokyo. 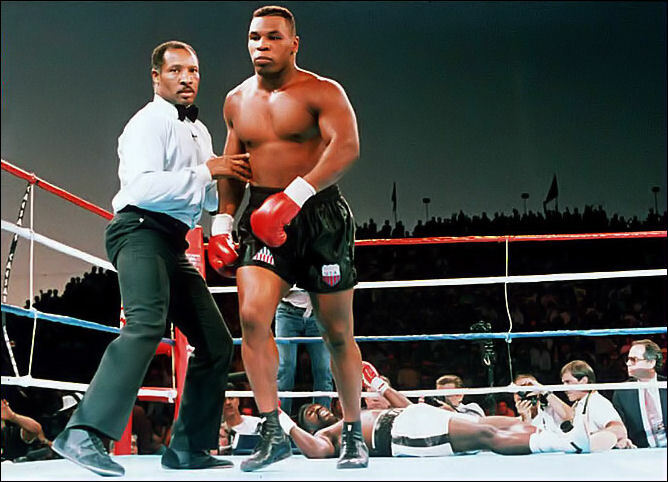 In his previous fight, Mike Tyson had lost his Undisputed Heavyweight title after being knocked out in the tenth round by 42-1 underdog James "Buster" Douglas in one of the biggest upsets in sports history. After a failed protest, Tyson's promoter Don King attempted to quickly gain a rematch with Douglas, but Douglas turned down King's offer and instead chose to face the number one contender Evander Holyfield. Left with little choice, Tyson was forced down the comeback trail. Former welterweight and middleweight champion Thomas Hearns, and former heavyweight contender Renaldo Snipes emerged as possible opponents for Tyson, but it was announced on May 1 that Tyson would face 1984 Olympic Gold Medalist Henry Tillman, who had twice defeated Tyson as an amateur, effectively costing Tyson a spot on the U.S. Olympic team. Tillman entered the fight as a 25–1 underdog and was given virtually no chance of defeating Tyson. 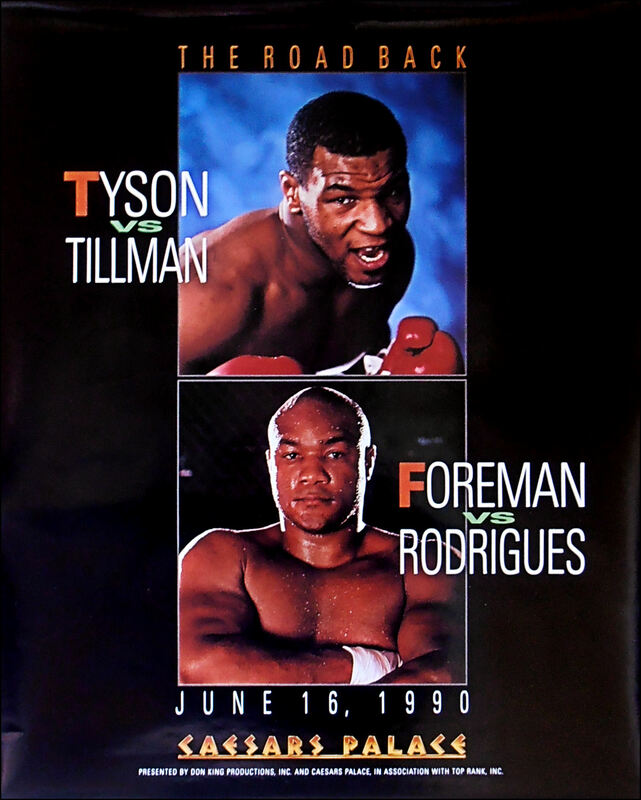 The Tyson-Tillman fight was the second fight of a doubleheader event that also featured George Foreman taking on Adilson Rodrigues. Once the opening bell sounded Tyson charged at Tillman causing Tillman to quickly retreat. Tillman offered very little by way of offensive deterrent to Tyson, instead Tillman got on his bike spent in a futile effort to the danger of Tyson's punches. Tyson eventually caught up to Tillman and began unloading trademark combinations at Tillman, causing Tillman to clinch several times whenever Tyson would mount a substantial attack. With around 25 seconds left in the round, Tyson trapped Tillman in the corner. Tillman attempted to throw a jab, but Tyson countered with a strong right hand that dropped Tillman to the mat. 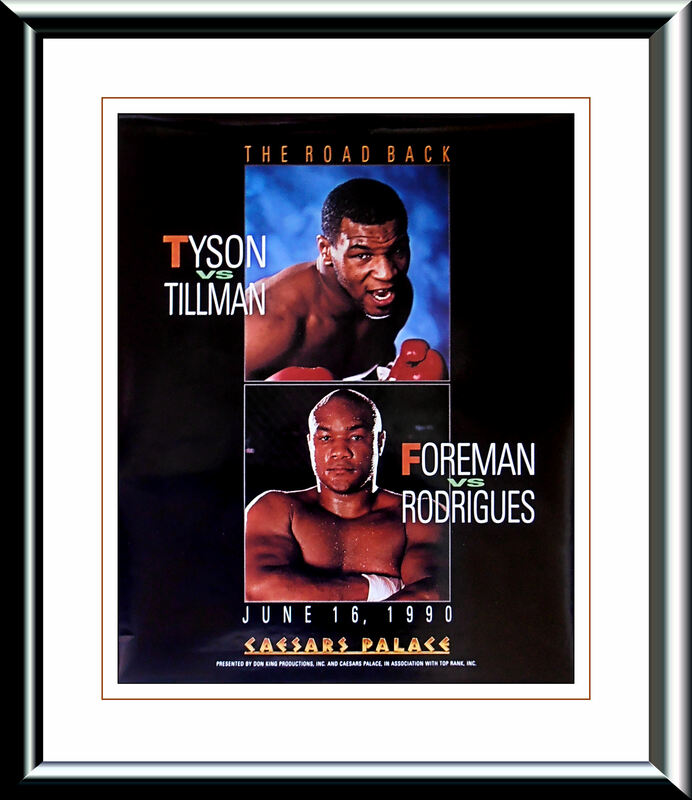 Tillman remained on his back as the referee counted him out and Tyson was named the winner by way of knockout at 2:47 of the first round. Condition : Very Good/Minor handling wear/ Framed 4 display only!